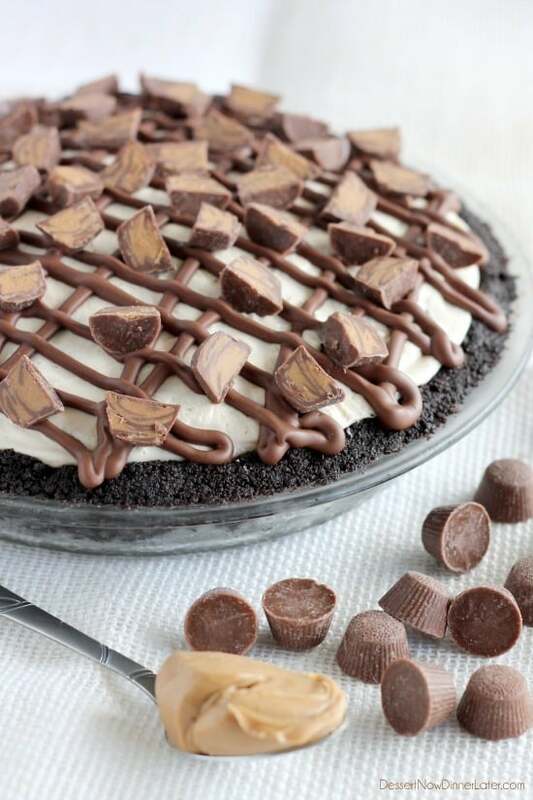 Frozen Peanut Butter Cup Pie - Dessert Now, Dinner Later! Okay, ya’ll! 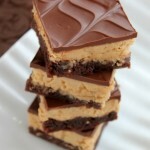 Peanut Butter and Chocolate is a sinful pleasure of mine! It’s that classic combo that just works. 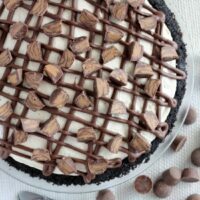 I am totally in pie mode too (see my frozen pink lemonade pie post from Tuesday), so I wanted another frozen pie to eat, this time with chocolate! And since I LOVE Winco so much, I bought the bulk mini peanut butter cups that are all unwrapped and easy to use, which made this pie ridiculously simple to make! It IS decadent though, as most of my peanut butter and chocolate desserts are, so you should probably cut this one into 16 slices and still be satisfied with one piece! 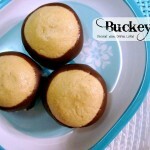 The peanut butter-cream cheese filling is so smooth and creamy like ice cream. 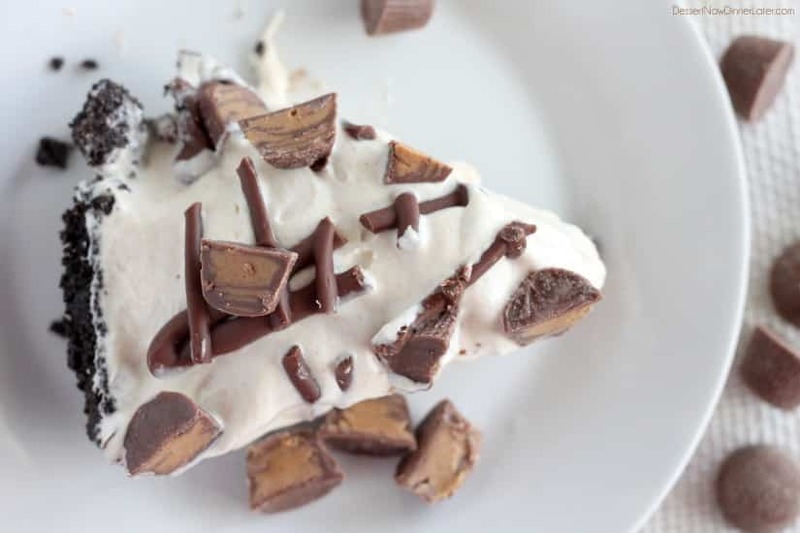 Plus there are chunks of mini peanut butter cups inside the pie as well as on top, so you are getting all that yummy goodness in every bite! 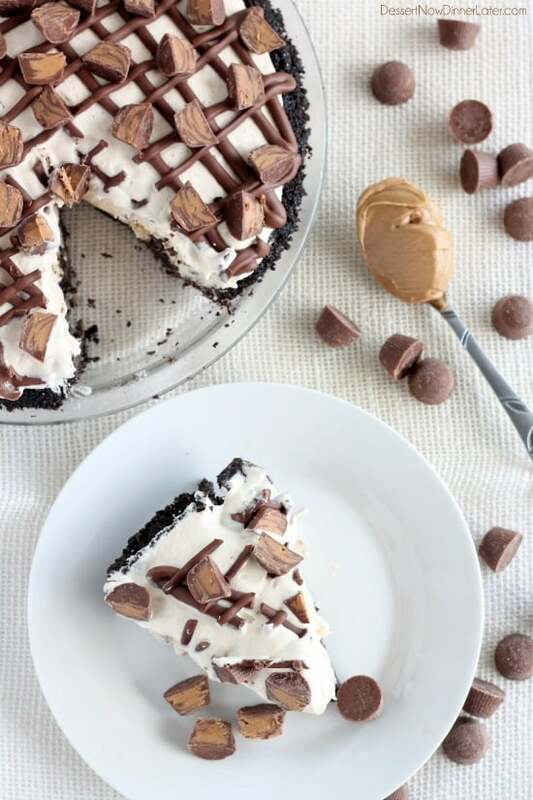 Did I mention that the crust of this Frozen Peanut Butter Cup Pie is made with Oreos? NO?! Well, let’s not forget that part! It makes for a delicious cookie crust! Seriously…make this pie! You will not regret it! Summer never tasted so good and decadent! In a food processor, place Oreos and process until fine crumbs. Transfer to a bowl and stir in melted butter, mix until it starts to clump together and everything looks wet. Press crumb mixture evenly into a pie dish. I like to use the bottom of a measuring cup to press the crumbs down and up the sides of the dish. Freeze the crust for 30 minutes to set. For the filling: In a large bowl, beat the cream cheese and sweetened condensed milk together with an electric mixer until smooth. Mix in the powdered sugar and peanut butter until just combined. 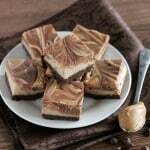 Fold in the cool whip and 1 cup of halved mini peanut butter cups. Pour mixture into frozen pie crust. Cover and freeze for 4 hours to overnight (overnight is best). Before serving, melt the chocolate chips and coconut oil in the microwave on half power until just melted. Place melted chocolate into a zip-top bag with the corner cut off. 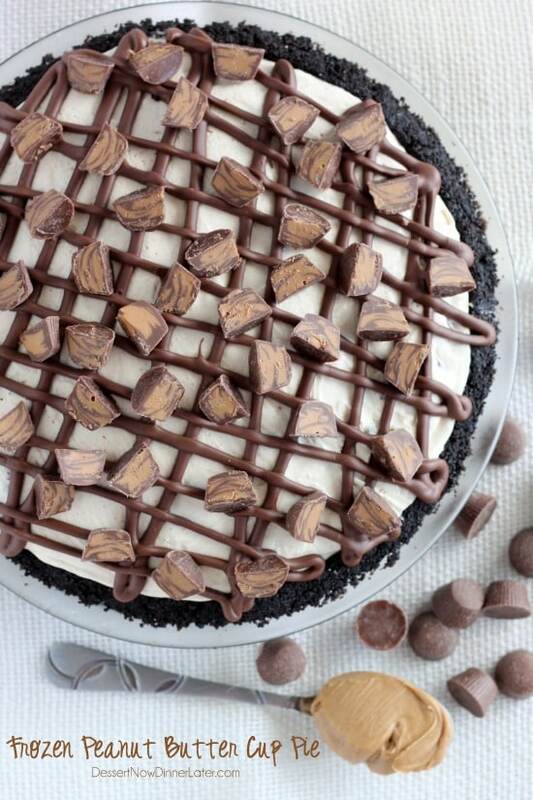 Squeeze chocolate in a zig-zag pattern across the whole pie until all the chocolate is used. It will harden as the frozen pie touches the chocolate. Sprinkle the top with ½ cup of halved mini peanut butter cups. Slice and serve immediately. *You can optionally add the toppings after a few hours of freezing and then return the pie to the freezer to finish freezing overnight. This looks amazing! Anything with an oreo crust has my vote! The oreo crust is the bomb in this pie! You had me at Peanut Butter Cup! This looks amazing! I can say firsthand that this is amazing! I loved everything about this pie! Definitely pinning to make at home. Maybe if I say it enough, “I don’t like dessert, I don’t like dessert” it will be true. This dessert looks wonderful. I want to make it right now. Pinning so I can add ingredients to my shopping lists. I’ve come to grips with my dessert addiction. Lol. Enjoy! 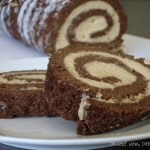 It’s decadent, so cut it into 16 slices!